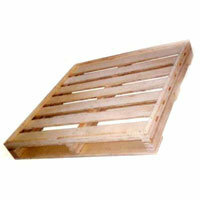 Do you have pallet inventory taking up valuable warehouse and/or yard space? One-way pallets with no further destination? Excess pallets no longer required? Miscellaneous pallets you are unable to get rid of? Want to rid yourself of this pallet nightmare? We can eliminate this problem at a fraction of the cost! Plus, like all our services, we come to you and pick them up!